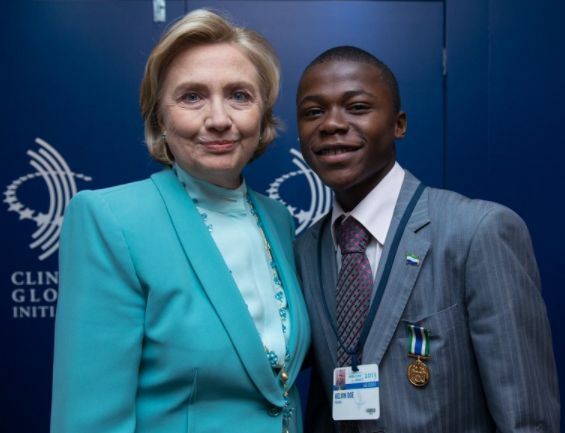 Kelvin Doe (born 26 October 1996 in Freetown), also known as DJ Focus, is a Sierra Leonean engineer. He is known for teaching himself engineering at the age of 13 and building his own radio station in the country, where he plays music and broadcasts news under the name "DJ Focus." 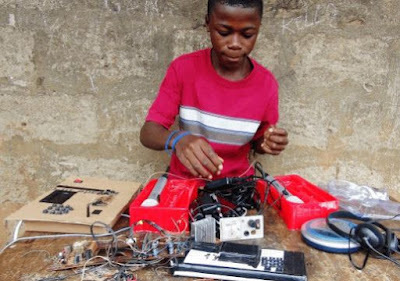 He was one of the finalists in GMin's Innovate Salone idea competition, in which Doe built a generator from scrap metals. He would constantly use discarded pieces of scrap to build transmitters, generators, and batteries, as well. His accomplishments were documented by @radical.media and presented on their corporate YouTube channel. When the video went viral, the story was picked up by CNN, NBC, The Huffington Post. Doe subsequently was a speaker at TEDxTeen and lectured to undergraduate engineering students at Harvard College. In May 2013, Doe signed a $100,000 solar project pact with Canadian High Speed Service Provider Sierra WiFi. 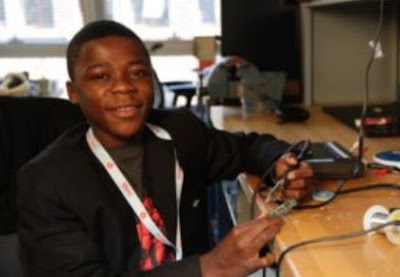 Today, young Kevin Doe is one of the most respected among other young African inventors. He has had the opportunity of meeting various leaders of the world including former US Secretary of State Hillary Clinton, and Ghanaian President, Nana Akufo-Addo. He has also been able to speak to young people in Africa on different platforms.